It doesn’t matter whether you’re a professional or a student, there are always writing resources that will help you to become a better writer. Writing is important no matter where you end up in life. Whether you’re attending an Ivy League university or working at a desk job, having strong communication and writing skills is a must. We have compiled a list of the top 150 resources for writers below so that you can can find the best writing resources quickly. Copyblogger: This is a great resource for anyone looking to gain followers in the digital space. Brian Clark shows you how to create better content, grow your email list, and create a better blogging business. The Creative Penn: Learn the best tips for writing and publishing from Joanna Penn on this useful blog. Problogger: Great resource for any online blogger or entrepreneur trying to become a better writer and blogger. ProWritingAid: A great resource for improving your writing. They even offer an editing tool that will help improve your writing. Smart Passive Income: Pat Flynn has become something of an icon in the online blogging space. His site and podcast offer great tips on how to become a better blogger and entrepreneur. Fiction Writing: Learn how to write better fiction from this About.com resource. Writers and Editors: Pat McNees has been a writer and historian for many years. She’s seen it all when it comes to writing and publishing. We highly recommend checking out her blog to learn about the newest and greatest writing tips. 650 Prompts for Narrative and Personal Writing: The New York Times offers 650 prompts to get started with blogging. Goodbye, writer’s block! Blog Topic Generator: Hubspot’s Blog Topic Generator tool will take in several nouns you want to include in a blog post and then spit out several possible titles that you can choose from. The tool isn’t perfect and sometimes spits out garbage, but when paired with the Headline Analyzer tool below, you can create some powerful SEO blog articles. BuzzSumo: Simply enter a keyword into this tool and you’ll get a wealth of information including how many people search for the keyword monthly and how similar content performed on social media. Headline Analyzer: Simply enter your proposed headline into Co Schedule’s Headine Analyzer tool and your title will get a score that estimates how well it will perform in Google searches. When paired with our title capitalization tool, you will create some of the most engaging titles. WordPress: The most common blogging software by far, WordPress is indispensable to the avid blogger. Highly customizable with themes and plugins, WordPress is a must if you’re looking to create a professional blog. APA Style: The APA Style blog provides guidelines for using APA style in your writing and citations. APA is a style traditionally used in American Psychological Association journal articles. Associated Press (AP) Style Guide: If you’re a journalist, you’re likely required to use AP Style formatting for your articles. Learn how to format in the AP style from this OWL resource. Chicago Manual of Style: The Chicago Manual of Style’s website includes an online forum, guidelines for basic rules, and even creates quick citations. Citation Machine: Great tool for citations, but has lots of ads. Includes a book lookup feature so you don’t need to enter all of the details from a book. EasyBib: Easily create a great looking citation. Like with Citation Machine, this site is very ad-heavy. MLA Handbook: MLA is a classic citation style used in school and you can learn how to correctly cite using MLA by visiting the MLA Handbook website. The Elements of Style: This classic book by Strunk and White will help you to greatly improve your writing. Bartleby.com offers it for free in its entirety on their website so you don’t have to spend a dime to improve your writing. About Freelancing: Great resource for anyone looking to get into freelancing. This site offers tips and tricks along with what to watch out for when starting to freelance. Freelancers.com: Hire freelancers from all over the world or find work from millions of small businesses. Freelancer’s Union: Get access to a large community of writers and make sure your freelancing business is off to the right start. Get help on things like contracts, health insurance, saving for retirement and following up with clients who owe us money. Funds for Writers: C. Hope Clark offers a goldmine of resources on upcoming contests, freelance writing jobs, connections to publishers, and everything else you need to make money as a writer. Her most popular resource is her newsletter which has over 40,000 subscribers. Upwork: A free online marketplace to find work or hire freelancers. Work opportunities range from writing to programming. Writers and Editors: Pat has been an avid writer for years and provides a great list of grammar resources on her blog. Check them out to become a better Grammar Nazi. 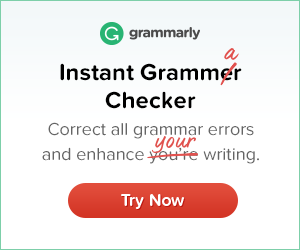 Grammarly: Grammarly is the #1 grammar tool. The free Google Chrome version automatically checks for over 150 common grammatical errors. Check out our Grammarly review. Capitalize My Title: A great tool for automatically capitalizing your titles to APA/MLA/AP/Chicago styles. Grammar Girl: Daily grammar tips and facts from the leading resource on all things grammar. Copyscape: Think people are copying your work online? Use this site to check for plagiarism across the internet in seconds. Creative Commons: Want to allow your work to be shared, but not plagiarized? Use this site to mark your work with the creative licenses you want it to have. US Copyright Office: Read the official laws about copyrights and make sure your work is protected from copyright infringers. Whether you’re a professional writer or a freelancer just getting started, there are professional writing organizations for you. These organizations can provide useful resources, support, and information that can make you a better, more successful writer. ASNE: The American Society of Newspaper Editors is a membership organization for editors and those who work with editors. However, the community is very open to engaging with aspiring writers who want to get in touch. 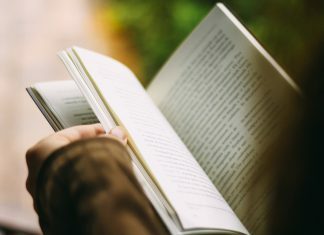 The Authors Guild: Writers should consider joining this organization which helps authors get copyright protection, fair contracts, and the right to free expression. Mystery Writers of America: MWA is a great organization for crime writers, fans of the genre, and aspiring writers alike. National Writers Union: The National Writers Union is the trade union for freelance and contract writers, journalists, book authors, business and technical writers, web content providers, and poets. Romance Writers of America: Those with a passion for romance writing should seriously consider looking to this group for resources, advocacy, and professional networking. Science Fiction & Fantasy Writers of America: Likewise, those who focus on the science fiction and fantasy genre will benefit from connecting with SFWA’s more than 1,500 members. Society of Children’s Book Writers & Illustrators: If you write, illustrate, or have an interest in children’s literature, this is the place to turn for help and services related to your work. Society for Technical Communication: Technical writers will appreciate the professional resources offered by this organization, from recent publications to jobs to courses. Asana: Another great to-do app, Asana allows you to create multiple projects with sub-tasks and then assign those sub-tasks to various team members. Very flexible. CoSchedule: Easily create marketing or editorial calenders with CoSchedule. They are also the makers of the Headline Analyzer mentioned above. Dropbox: Easily store all of your writing files and share with teammates. Dropbox makes it super simple to share documents. Evernote: A great website that allows you to easily organize notes. You can drop everything into Evernote including text, photos, documents, webpages, and more. Evernote makes it super simple to find anything you’ve stored. It even has great Android and iOS apps so that you can take Evernote everywhere. Egg Timer: A super simple timer, tell Egg Timer how long you want to work—15 minutes for research, 40 minutes to write a draft, etc.—and Egg Timer will count down the time. When time’s up, a popup appears and the timer sounds. Google Calendar: Google Calendar allows you to easy create an editorial calendar for free that is easy to share with team members. If publishing one post per day, you can save your ideas as all-day events and move them around the calendar as needed. If you plan on scheduling multiple posts, add a calendar event to the specific publish time. Zoom in and out to see what you’ve got planned for a given day, week, or month. Google Docs: Easily collaborate with your writing team with Google Docs. With real-time syncing, you can edit documents right in your browser and your teammates will immediately see the changes. Tomato Timer: If you want an alternative way of timing your work, you can follow the Pomodoro Technique of breaking up your work into 25 minute work blocks followed by a 5-10 minute break. The Tomato Timer makes it super simple to try this technique. When the time is up, it will sound an alert and show a pop-up. Trello: Trello is a great to-do website that allows you to easily create cards with tasks on them and move them around depending on their status. Very easy to collaborate with a team, too. Bubbl.us: Quickly mind map your novel, blog, or essay ideas in a color coded format that organizes your thoughts in a meaningful way. Hemingway App: A great distraction-free writing tool for anyone. The Hemingway Editor highlights common problems that can get in the way of clear writing. ProWritingAid: ProWritingAid offers an editing tool that will help improve your writing. Similar to Grammarly. How Many Words Are in a 45 Minute Speech?